outside a commercial bakery, a couple of dumpling makers trade jian ze (建字) moves. these guys were really good - it is truly admirable how labourers use their break time for physical activities instead of slumping back with some coffee and donuts (red bean buns and green tea?). 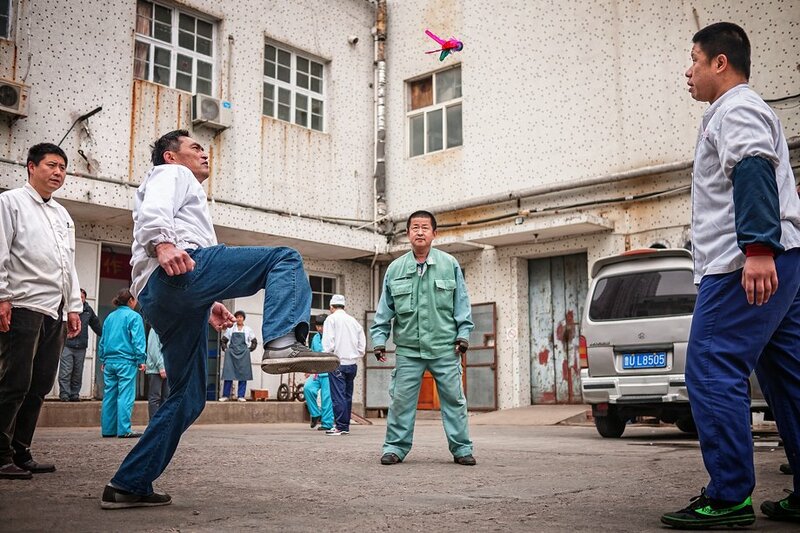 this and other shuttlecock-based games are so ubiquitous, they should be considered the official national sports of chinese workers.